(Santa Ana, California) – The Astronauts Memorial Foundation (www.amfcse.org), a nonprofit organization that honors and memorializes those astronauts who have sacrificed their lives for the nation and the space program by sponsoring the Space Mirror Memorial, and by implementing innovative educational technology programs, has selected Professional Coin Grading Service (www.PCGS.com) to create a special label to celebrate the launch of the Apollo 11 50th Anniversary Commemorative Coins. 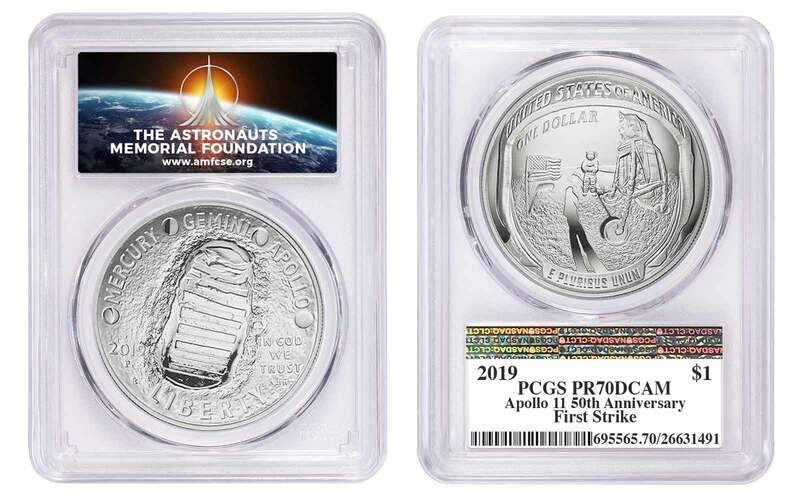 "The Astronauts Memorial Foundation is excited about partnering with PCGS on the grading and encapsulation of these historic Apollo Commemorative Coins. We chose to work with PCGS due to their high-regard in the numismatic community and the safety, security, and aesthetics of the PCGS holder," said Thad Altman, President and CEO of AMF, "AMF's mission is to memorialize the twenty-four astronauts who have lost their lives in the pursuit of space exploration and to educate future generations to become the explorers of tomorrow, we feel that this special label, with the added benefit of being available to coins beyond just the 50th Anniversary Commemorative Coins, will help to further honor our fallen heroes." "PCGS is pleased to partner with the Astronauts Memorial Foundation and help support AMF's mission to inspire future generations of scientists, engineers, and mathematicians through their many programs and outreach activities. 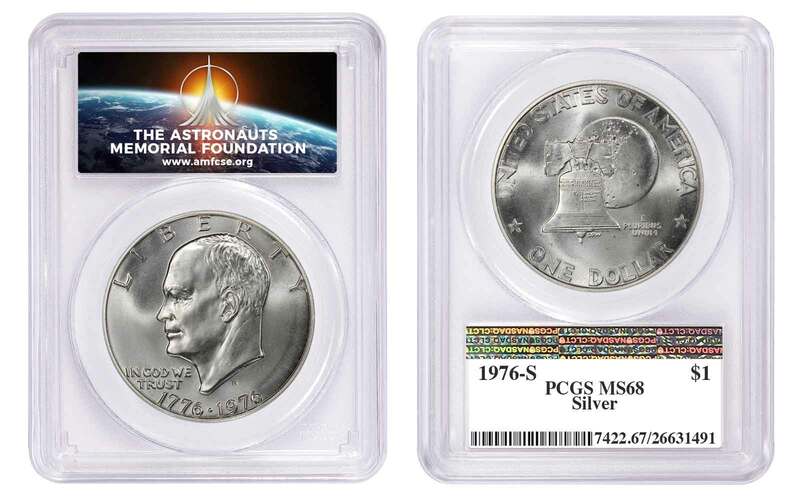 This is a perfect way for the hobby to pay tribute and memorialize the 1969 Apollo 11 mission and the United States Mint's 50th Anniversary Commemorative Coins," said PCGS President Brett Charville. Prices for the coins include surcharges of $35 for each gold coin, $10 for each Silver Dollar, $5 for each Clad Half Dollar, and $50 for each Five-ounce Proof Silver Dollar. Under federal legislation authorizing the coins, the surcharges will be divided as follows: one-half to the Smithsonian Institution's National Air and Space Museum's "Destination Moon" exhibit, one-quarter to the Astronauts Memorial Foundation, and one-quarter to the Astronaut Scholarship Foundation.